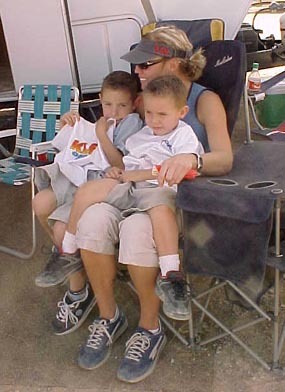 Two dusty little guys sitting on mom’s lap in the shade of the main base pit stop for Kleine Off Road Racing Team. by Ms. Jen on Fri December 12, 2003 | Permalink | art + photography. Mud, sweat and gears. Nice pic.